Within LGBTQ culture, creating an alernative family—or, as we sometimes prefer to call it, “our chosen family”—is hugely important. In this almost-nostalgic, almost-comic look at life in 1990s Portland, complete with lesbian indie-rock, answering machines, disposable cameras and mix tapes, new author Chelsey Johnson explores this idea of chosen family with a laugh-out-loud wit and heart-crushing emotion. “Portland in the nineties was a lot like me: broke, struggling with employment, mostly white, mostly hopeful even though there was no real change in sight.” And from that opening line, this book will grab you and keep you suspended until you turn the final page. Twenty-three-year-old artist Andrea Morales escaped her Midwestern Catholic childhood—and the closet—to create a home and life for herself within the thriving but insular lesbian underground of Portland, Oregon. But one drunken night, reeling from a bad breakup and a friend’s betrayal, she recklessly crosses enemy lines and hooks up with a man. To her utter shock, Andrea soon discovers she’s pregnant–and despite the concerns of her astonished circle of gay friends, she decides to have the baby. 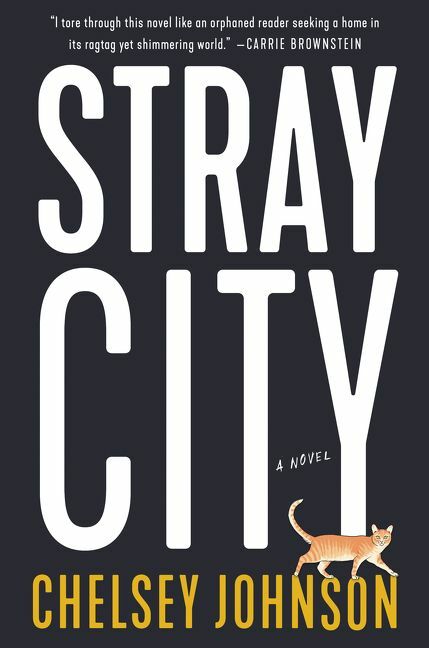 #StrayCityBook Available from HarperCollins, and on Amazon .